Visitors to Canada may find themselves admiring its eye-catching $10 note. The new purple polymer bill is vertically oriented and features the first Canadian woman, and the first black person, to be represented on a regularly-circulated bank note. The image of Viola Desmond was chosen for the bill after a nationwide call-out for female nominations. A successful Novia Scotian businesswoman, Viola Desmond became the unwitting face of racial segregation when she took a stand against discrimination in 1946. Her remarkable story of courage and determination went on to inspire change and paved the way for broader movements to recognise human rights in Canada. Desmond's fight for justice is featuredin a museum that is also incorporated into the new note's design. 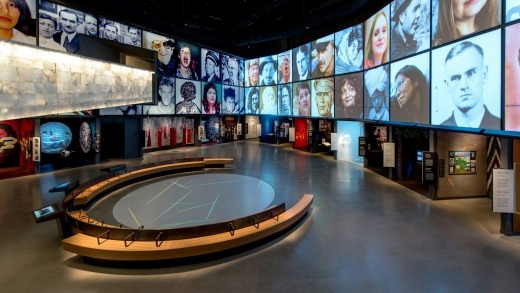 Opened in 2014, the Canadian Museum for Human Rights in Winnipeg is the only museum in the world solely dedicated to the celebration of human rights, examining both Canadian and international case studies, and inspiring dialogue to erase barriers and create change. Rather than showcasing artefacts, the museum is a collection of ideas, a journey through the history of struggle and repression, from well-known horrors (such as the genocide in Nazi Germany) to lesser-known atrocities such as the Holomodor, a man-made famine that killed millions of Ukrainians in 1932-33. 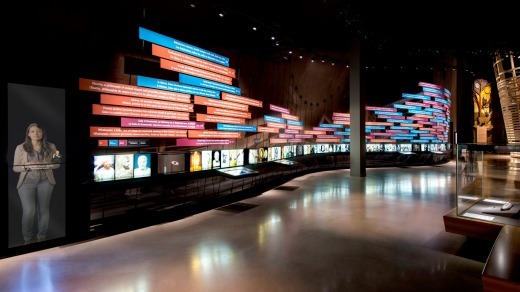 Each gallery features an aspect of Canadian history and Indigenous rights. This content may resonate with Australian visitors due to our shared colonial pasts. Indigenous children in Canada, for example, were relocated from their homes to "residential schools" – a similar situation to our Stolen Generations. The museum, designed by US architect Antoine Predock​, is a metaphoric journey from dark to light with symbolism embedded in every structural component. Externally, the building registers as part of the Canadian landscape: four slopes planted with native grasses that signify the roots of a tree and its main body swathed with cloud-like windows that reflect the prairie skies. Crowning the building is a jagged "icy" tower, a symbolic beacon of hope that visitors will be enlightened by the museum's stories of human struggle. From its cavernous lobby, ramps clad in alabaster wind their way through seven levels, a journey from dark to light, from despair to reconciliation and change. To take in panoramic views of the surrounding area an elevator whisks you up 100 metres to the Israel Asper Tower of Hope. Viola Desmond's story is titled One Woman's Resistance and is housed in the museum's largest gallery, Canadian Journeys. The exhibition tells how in 1946 the black Nova-Scotian chose to sit in a cinema's main-floor seat instead of the balcony area designated for "coloured" patrons. She refused to move and was jailed. "Viola Desmond reminds us we can learn from this history, and make better choices as we move into the future," the inspiring display affirms. 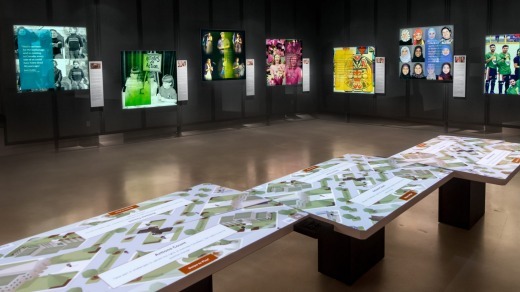 One of the museum's galleries is dedicated to temporary displays and currently houses the exhibition Mandela: Struggle for Freedom, examining the life and battles of the most famous opponent of South African apartheid, Nelson Mandela. To reflect the dynamics of world politics, a display of human rights heroes was recently – and controversially – altered. The light behind an image of Myanmar's de-facto president Aung San Suu Kyi was dimmed in keeping with Canada's reversal of her honorary citizenship after her refusal to call out atrocities committed against the Rohingya people. 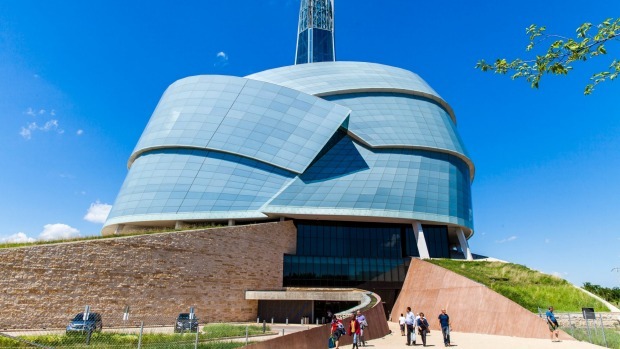 Provocative, sobering and thought-provoking, the Canadian Museum for Human Rights is one of the rare museums that challenges visitors, inspiring them to be more mindful of others. And while it may highlight some of the less admirable qualities of humanity, its prevailing message is one of hope – and that anyone can make a difference. The $10 note that features the first Canadian woman, and the first black person. The writer was a guest of Travel Manitoba. The new $10 note will be issued in late 2018.